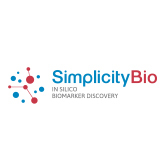 TATAA Biocenter, Europe’s leading provider of genomic services and the world’s foremost organizer of hands-on training in molecular diagnostics has partnered with SimplicityBio, a leading provider of in silico solutions for multivariate and multimodal analyses to offer complete solutions for biomarker discovery, signature optimization and validation. The partnership offers a complete solution comprising biomarker discovery, assay and protocol optimization, analytical validation, standardization, and clinical validation leading to robust and reliable biomarker signatures for diagnostics, prognostics and theranostics. Platforms include microarrays, qPCR, dPCR and NGS and virtually any kind of biomarkers with emphasis on mRNA, microRNA, lncRNA, DNA (SNP, CNV, methylation, cfDNA), protein and circulating tumor cells.